From roaming carolers to Christmas concerts to charming boat parades, Florida’s Space Coast is filled with holiday events for the whole family. Holiday Nights & Candlelight Shopping (Downtown Melbourne) – A holiday shoppers’ dream, merchants light window candles, put out savory treats and entertain shoppers with all kinds of merriment, including strolling carolers. Starts every night at 5 p.m. now through the holiday season. Space Coast Lightfest (Wickham Park) – Each night, the park transforms into a drive-through winter wonderland with a million shimmering lights on display. The fun starts at 6:30 p.m. now through December 31; single-car tickets start at $10 and are available online at spacecoastlightfest.com. Holidays in Space (Kennedy Space Center Visitor Complex) – Meet Santa and Mrs. Claus and delight in a stunning array of holiday decorations and the new “Through the Toy Box: An Out-of-this-World Collection” of space toys now through January 5. Included in the regular price of park admission. 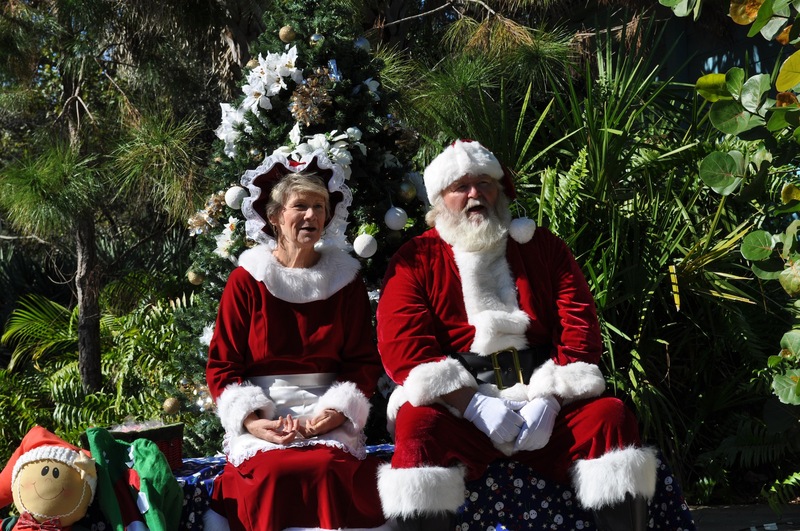 Holiday Happenings (Brevard Zoo) – Share some holiday cheer with furry and feathered friends December 21, 22 and 23. Watch as the animals “unwrap” tasty treats and enrichment toys between 10 a.m. and 3 p.m. and meet Santa and Mrs. Claus from 9 to 11 a.m. on December 21 and 12:30 to 2:30 p.m. on December 22 and 23. Located 35 miles (56 km) east of Orlando, Florida’s Space Coast is home to Orlando’s closest beaches. Encompassing Cocoa Beach, Melbourne Beach, Palm Bay and Titusville, this family-friendly destination offers more than 10,000 guest rooms, and is an ideal, value getaway. With 72 miles (110 km) of beaches, the longest stretch in the state, and 250 square miles of wildlife refuge, the Space Coast is one of the largest intact eco-systems in Florida. It is home to one of the nation’s busiest cruise ports; is the nation’s East Coast surfing capital and the location of NASA’s Kennedy Space Center, where all 135 shuttle missions launched and unmanned rockets continue to launch. The Space Coast will be home to the retired Atlantis shuttle in 2013, and is one of only four destinations nationwide where visitors will be able to view an orbiter. For more information, contact the Space Coast Office of Tourism at (877) 572-3224 or visit www.visitspacecoast.com. Visit www.spacecoastlaunches.com to learn about upcoming rocket launches. Find us on Facebook at http://www.facebook.com/Florida-Space-Coast. Follow us on Twitter at www.twitter.com/flaspacecoast.